Jonathan Safran Foer's and Nathan Englander's spectacular Haggadah-now in paperback. 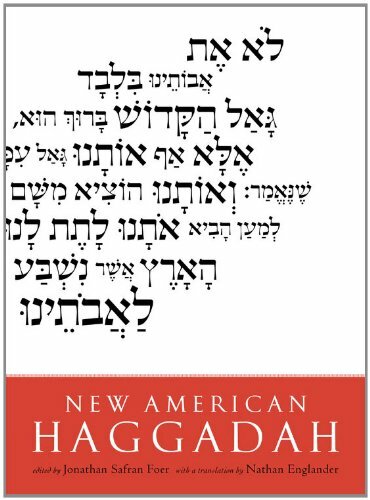 Upon hardcover publication, NEW AMERICAN HAGGADAH was praised as a momentous re-envisioning through prayer, song, and ritual of one of our oldest, most timeless, and sacred stories-Moses leading the ancient Israelites out of slavery in Egypt to wander the desert for 40 years before reaching the Promised Land. Featuring a new translation of the traditional text by Nathan Englander and provocative essays by a collection of major Jewish writers and thinkers, it was received not only as a religious document but a magnificent literary and artistic achievement. Now, after two years of patience, those readers who asked for a paperback edition have gotten their wish.